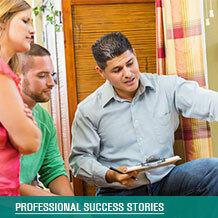 Join the network of professionals delivering Home Performance with ENERGY STAR to homeowners across the United States. 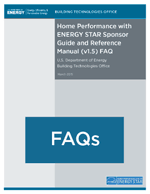 A utility, non-profit, or other organization becomes a local program "Sponsor"
The Home Performance with ENERGY STAR Sponsor Guide and Reference Manual is the technical operations guide that outlines requirements for offering a Home Performance with ENERGY STAR Program. 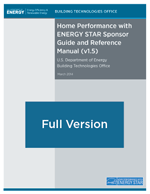 Join in partnership with ENERGY STAR to sponsor a local Home Performance with ENERGY STAR program. 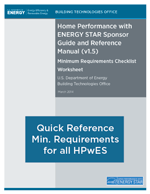 Be sure to check back frequently for the latest tools and templates available for download. 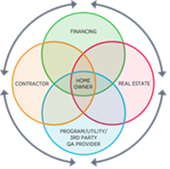 Sponsors and their partners should access MESA for additional tools specifically designed for Home Performance with ENERGY STAR participants. Questions? Contact the Home Performance with ENERGY STAR team to request assistance or download the Sponsor Guide and Reference Manual (v1.5) to learn more about the requirements for joining the national Program.